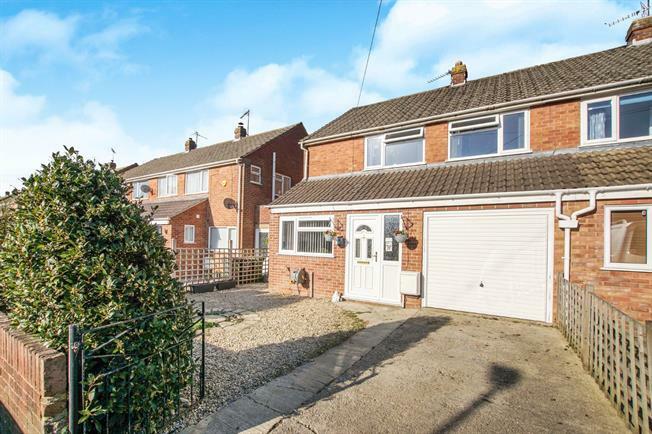 3 Bedroom Semi Detached House For Sale in Dursley for Offers in excess of £240,000. Immaculate three double bedroom semi detached family home located on a popular road in Cam. The accommodation comprises front entrance porch, entrance hall, extended kitchen, lounge/diner with feature gas fire and surround and a useful utility/lean-to to the side of the property. On the first floor are three double bedrooms, modern bathroom with shower bath and basin with vanity storage unit and a separate WC. Further benefits include double glazing, gas central heating, low maintenance rear garden, garage and off road parking.